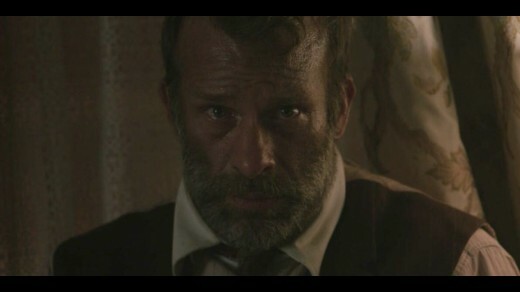 Wilfred (Thomas Jane) seems to be a simple man with simple dreams. His idea of a man is someone who owns land and works on it. He has always fantasized about having his own land, but now he wants that fantasy for his son. He finally inherits some land through his wife Arlette’s (Molly Parker) family, but tensions rise when that land might be in jeopardy. Wilfred wants to raise their son Henry (Dylan Schmid) on the farm. He wants Henry to grow up learning how to work for what he has. He wants to use the land to turn his son into a man, but Arlette does not want this lifestyle for her son. Arlette wants her son to get an education and use his mind to make a stable living. Arlette wants to sell the land and move to the city, but Wilfred will do everything he can to maintain his dream for his son. This character goes to some dark places throughout the course of his movie. If there is one thing Stephen King does right, it is character development. This character deals with some extreme psychological issues that were fascinating to see unfold throughout this story. On the surface, Wilfred is a relatively simple man, but when pushed to his breaking point, he is capable of some sinister things. Wilfred is desperate. Desperate to hold on to his idea of what it means to be a man as well as his idea of what is best for his son. This desperation takes him to very dark places which created a lot of riveting tension. This guy is willing to go to great lengths to hold onto the property for his son and, as a viewer, it was compelling to see just how far he was willing to go. Unfortunately, it seemed that the filmmakers did not have time to develop Henry and Arlette. This is most likely a result of adapting a book into a film. With Stephen King, you get a book full of character development. The filmmakers then had to turn a dense character story into an hour and forty minutes. I get the impression that the filmmakers sacrificed the development for Henry and Arlette in order to deliver as much of Wilfred’s development as possible. The problem with this, although this is very much Wilfred’s story, is that Henry and Arlette are essential characters to Wilfred’s transformation. Their actions, behavior, and motivations play heavily into why Wilfred does what he does. If we, as an audience do not get enough development for these characters (which was the case with this movie) then we do not understand them and Wilfred’s responses feel unjustified. In a book or extended series, these characters can be fleshed out properly. However, a lot is lost when adapting these extremely complex characters into a relatively short story (like an hour and forty minutes). Thomas Jane was incredible in this movie. Like I have said before, his character goes to some dark places and Thomas Jane does a fantastic job of taking the viewer there. He mumbles through a lot of the dialogue, but it was easy for me to look past this due to how captivated I was by his performance. A lot of this movie’s watchability depended on Thomas Jane pulling this character off and he absolutely did that. 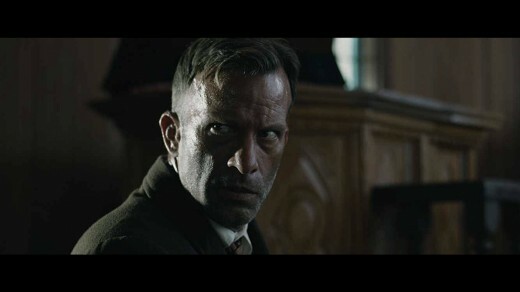 1922 had some significant issues, but Thomas Jane’s intense performance had me glued to the screen in anticipation of where this character, and the actor, would go next. This is a dark, heavy character story. I do not want to spoil any of it, but it was very entertaining to see Thomas Jane exploring the dark side of this character. He does things that he regrets, but he does it for his son. 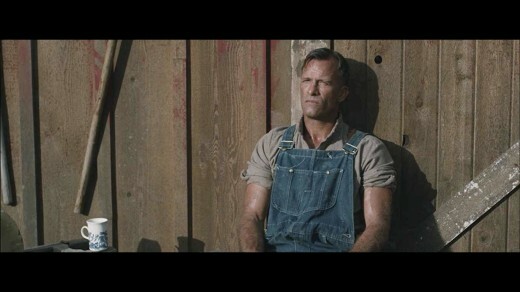 In his mind, the ends justify the means, but he is forced to live with the tremendous pain and guilt over what he was done, and Thomas Jane conveys that masterfully. Wow this movie was slow paced. I am all for heavy doses of character development but it felt like not enough actually happened to justify so much development. The movie just drags on and on. The main character was compelling and there were some shocking moments, but they were few and far between. It is so slow that, while the movie is about an hour and forty minutes, it will feel about an hour longer. The film gives us a lot of time to see Wilfred thinking. Keep in mind that when I say “a lot of time” I mean a lot of time. We see Wilfred thinking about what could happen, we see him thinking about what he is going to do about it, and we see him thinking about what he has done after he has done it. This really slows the movie down and, while I liked Thomas Jane as Wilfred, the filmmakers did not seem to consider the pacing when adapting this story into a movie. Pacing that works in the book does not work in this movie and makes me think the story would have been better suited for a limited television series. The movie was slow, but scattered throughout were a number of shocking and intense moments. As mentioned before, Wilfred is capable of some dark things in order to hold onto this land for his son. This is another area where I do not want to list examples to avoid spoiling the movie, but his actions definitely surprised me. When he decides to act, his actions will shock the viewers and keep them hooked in anticipation of what he will do next. This guy is crazy and it made the story unpredictable. This definitely contributed to maintaining my interest throughout the movie. While the movie is slow, Wilfred is so crazy that viewers will have a tough time of fathoming where the story will go next. This movie will suffer from the poor job by the marketing department. It is a compelling story about a man pushed to his psychological breaking point, but there is almost nothing “horror-like” about this movie. Normally I do not like critiquing a movie based on the inaccurate depiction of the movie in it’s trailers, but I will explain why this is an exception. While Stephen King can be associated with strong character stories, audiences also have come to expect a supernatural or horror element to his stories. This movie had the tone of a supernatural horror, but had none of the supernatural horror. What I mean by that is there are a lot of dark, intense moments where viewers will be expecting some horror, but none will come. This will disappoint viewers who throw on this movie expecting some classic Stephen King horror. Now I am all for authors switching things up. 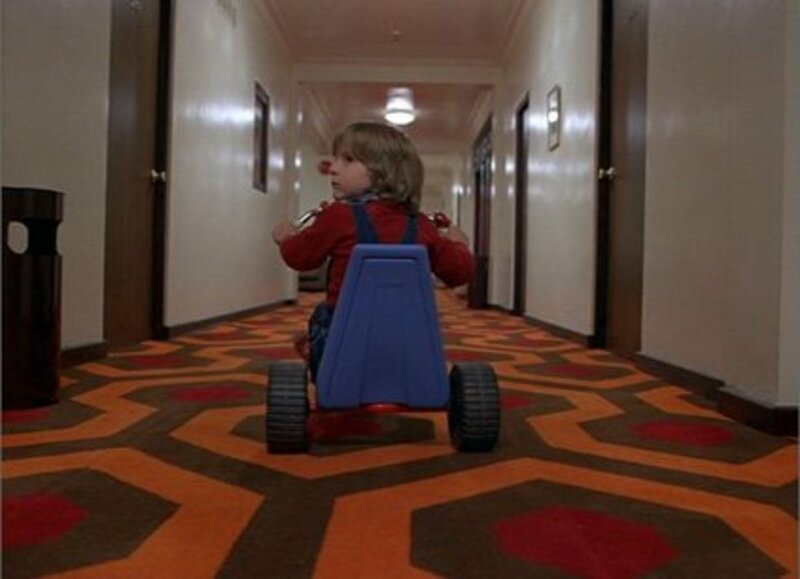 With this movie, Stephen King focuses even heavily on the development of the main character. The “horror” in this movie comes from Wilfred battling the demon inside of him. It is compelling, but not at all what viewers expect or what the trailer suggests. This will lead to some disappointed viewers. 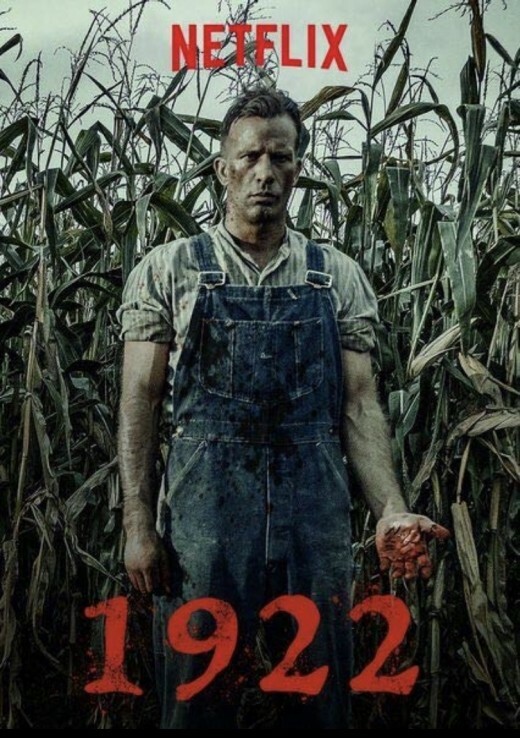 1922 is another of Stephen King’s books to get a film adaptation on Netflix. With Stephen King, you know you are getting well written characters. He is all about establishing complex characters and letting the story write itself. With this story, we get Wilfred played by Thomas Jane. This is a fascinating character that is a simple man on the surface, but is willing to go to extremely dark places in order to hang onto what he thinks he needs in order to raise his son right. This is so fascinating because all viewers will think he goes too far but they will understand why he does what he does. 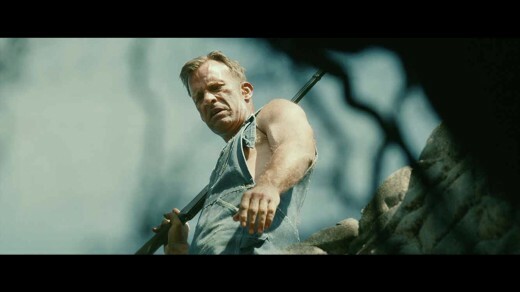 The character carries the heavy weight of his actions and Thomas Jane is absolutely incredible at portraying this character with all of his complexity. Unfortunately the rest of the cast was not so strong. I am sure Stephen King wrote these characters well, but in adapting the story into a movie, the filmmakers did not have time to develop Henry and Arlette properly. The result is that viewers will not understand where they are coming from and thus Wilfred’s reactions will not feel earned. The intensity then slightly misses its mark and makes the movie feel very slow, because we do not care about the characters that Wilfred is interacting with. This adaptation has a lot of issues. 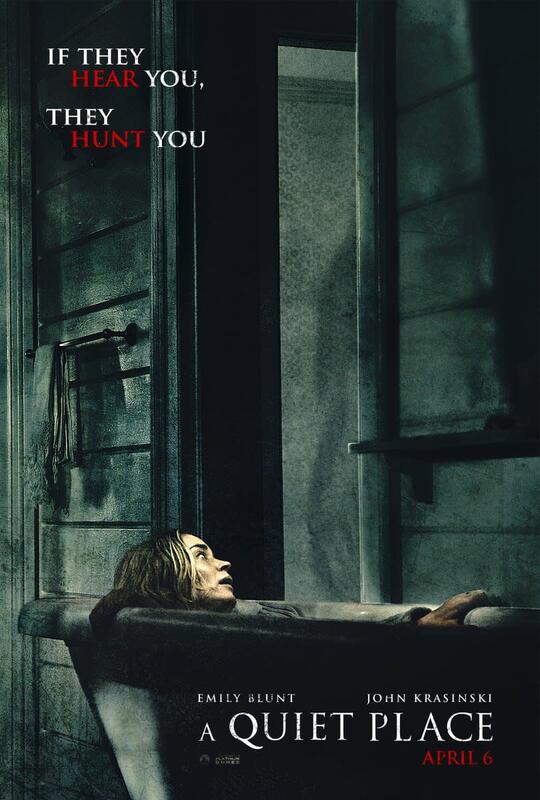 It can hardly be considered a horror movie, feels very slow, and has an uninterestibg supporting cast. However Wilfred is a fascinating character and I think it is worth seeing Thomas Jane’s riveting performance of this dark character. 2018 Netflix Halloween Countdown: "Gerald's Game"
2018 Netflix Halloween Countdown: "The Babysitter"
2018 Netflix Halloween Countdown: "It Follows"